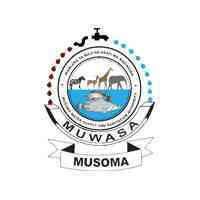 Musoma Urban Water Supply and Sanitation Authority (MUWASA) is a utility established under section 9 of the Water Supply and Sanitation Act No. 12 of 2009 with the objective of the provision of Water Supply and Sanitation services in Musoma Municipality. In this respect, the activities of MUWASA have specifically expanded and the Authority now invites application from suitably qualified and skilled individuals who are dynamic and result-oriented to fill the following post. To advise the Authority Management on the soundness and adequacy of existing Operational, Accounting, and Financial Controls. To oversee MUWASA compliance to the Procurement Act, internal audit principles and best practices. To execute Internal Audit Programmes according to internal Standards on Auditing (ISA). To undertake special investigations and make constructive suggestions for improving operational and strategic performance of the Authority. To supervise review of financial manuals, policies, regulations and procedures. To oversee preparation of audit progress reports. To evaluate MUWASA internal controls. To review budget control system of the Authority. To review audit reports with the Authority’s external auditors. Holder of Bachelor Degree or Advanced Diploma in Accounting and Finance or Auditing and Finance from a recognized Institution and must have CPA (T), ACC A or related professional qualifications with a working experience of six years (6) in a relevant field. Working knowledge and skills in auditing or accounting packages and computer literate is an added advantage. Only qualified persons should submit their letters of application with copies of relevant academic certificates and testimonials so as to reach the undersigned not later than 15th April 2019. Applicants are also required to indicate the names and contacts of at least three (3) work/professional related referees. Only shortlisted candidates will be informed for the interview.